Stevens said during an event in front of a small crowd that Kavanaugh's performance last week during his testimony in front of the Senate Judiciary Committee caused him to change his mind about Kavanaugh's suitability for the court. 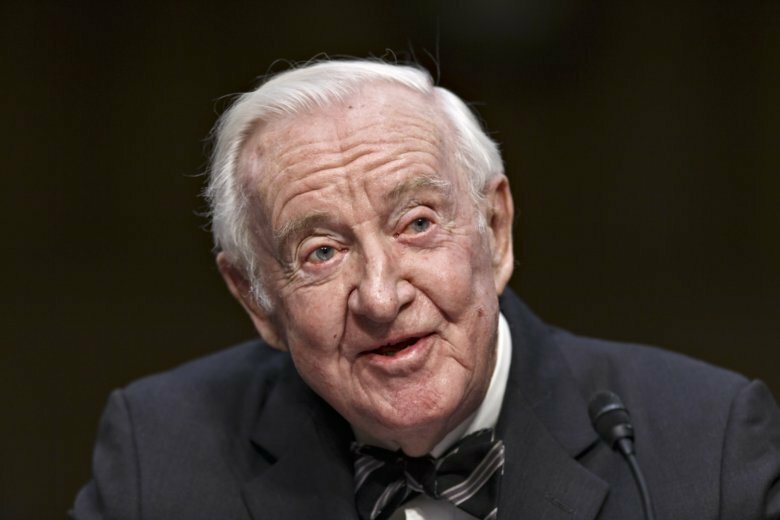 (CNN) — Retired Supreme Court Justice John Paul Stevens suggested Thursday he believes Supreme Court nominee Brett Kavanaugh should not sit on the nation’s highest court. Stevens said during an event in front of a small crowd that Kavanaugh’s performance last week during his testimony in front of the Senate Judiciary Committee caused him to change his mind about Kavanaugh’s suitability for the court. His comments were met by applause from the audience in Boca Raton, Florida. The Palm Beach Post first reported the comments. Stevens, 98, served on the Supreme Court from 1975 until his retirement in 2010. President Gerald Ford nominated Stevens to the court. Stevens was a lifelong Republican but was considered liberal in his judicial rulings. Kavanaugh and California professor Christine Blasey Ford testified in front of the Judiciary Committee on September 27 after Ford came forward with an allegation of sexual assault against the judge. The incident allegedly took place when they were both in high school. Kavanaugh denies the allegations. In his testimony to the Judiciary Committee, Kavanaugh attacked Democrats and delivered the angriest partisan message heard from a Supreme Court nominee in modern times. “This whole two-week effort has been a calculated and orchestrated political hit, fueled with apparent pent-up anger about President Trump and the 2016 election, fear that has been unfairly stoked about my judicial record, revenge on behalf of the Clintons and millions of dollars in money from outside left-wing opposition groups,” Kavanaugh said at the hearing. Stevens noted to the crowd Thursday that he has previously praised Kavanaugh. In his book, “Six Amendments: How and Why We Should Change the Constitution,” Stevens said, he included a description of an opinion Kavanaugh wrote in a section where the retired Supreme Court justice argues for reversing the court’s Citizens United ruling. That ruling struck down limits on independent campaign spending by corporations and unions, and Stevens wrote a lengthy dissent in response. “At that time, I thought (Kavanaugh) had definitely the qualifications … to sit on the Supreme Court and should be confirmed if he was ever selected,” Stevens said Thursday. “But I think that his performance during the hearings caused me to change my mind,” the retired Supreme Court justice said.